What makes someone an influencer? What journey did these individuals go on to become famous online and offline? Many of us think luck made these legends overnight sensations. In reality these women worked hard on their craft and image, and they’re excited to share with you all the steps they took to become influencers in their field. If you are curious about how to become an influencer in your career, join us on Wednesday, November 2 from 5:30-7:30 pm at workzones in Paseo Nuevo for a fun panel on “Becoming an Influencer”. Hollye Jacobs is a sought after speaker, nurse, social worker, child development specialist, and the bestselling author of The Silver Lining, A Supportive and Insightful Guide to Breast Cancer. Published in 2014 by Simon and Schuster, the book quickly reached the New York Times, Washington Post and LA Times Bestseller lists. In October 2014, she launched The Silver Lining Companion Guide, a condensed version of her original book that Allstate Insurance distributed for free to every person impacted by breast cancer for a full year. Hollye is a respected expert in the field of women’s health and wellness and has appeared on Good Morning America with Robin Roberts, Dr. Phil, Oprah’s Super Soul Sunday (as a feature), and The Doctors, to name a few. She has also been a regular contributor to Huffington Post since 2011. Hollye launched her award-winning blog, www.thesilverpen.com soon after her diagnosis, becoming the experienced, trusted friend all women need, holding their hand and providing support and guidance from the time of a diagnosis through treatment, recovery, and survivorship. Hollye shares her unique perspective, authentic voice and first-hand experience with the disease with everyone impacted by it. Through her robust and engaged social media channels, she is empowering women with knowledge, allowing them to take control of their health and survivorship. Jenny Schatzle doesn’t change bodies, she changes lives! 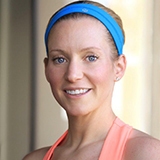 She is a Fitness/Nutrition expert, Life Motivator and creator of the life-changing Jenny Schatzle Program. From her facility in Santa Barbara Jenny has created a movement that transforms the way people see themselves. Her program is as much about health and wellness as it is about positivity, self-love and letting go of the toxic behavior and negative thinking that limits our success. Her passion, enthusiasm, and energy has helped thousands of people and created a community of all ages and fitness levels that must be experienced. This entry was posted in Past Events on October 16, 2016 by Lisa.